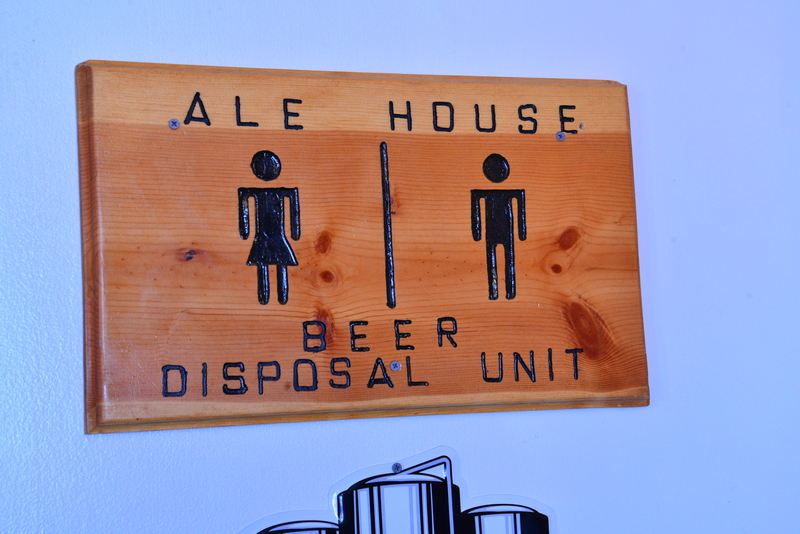 I seem to brew a lot of beers that I like – the problem is, my wife has a different palate! I made one for her a while back but the bitter orange peel used for the Belgian Wit Bier was a bit overwhelming. Dang it….I have had to drink almost all of it! Since then I have brewed a rich and chewy Russia Imperial Ale and my Golden Wheat Red IPA. 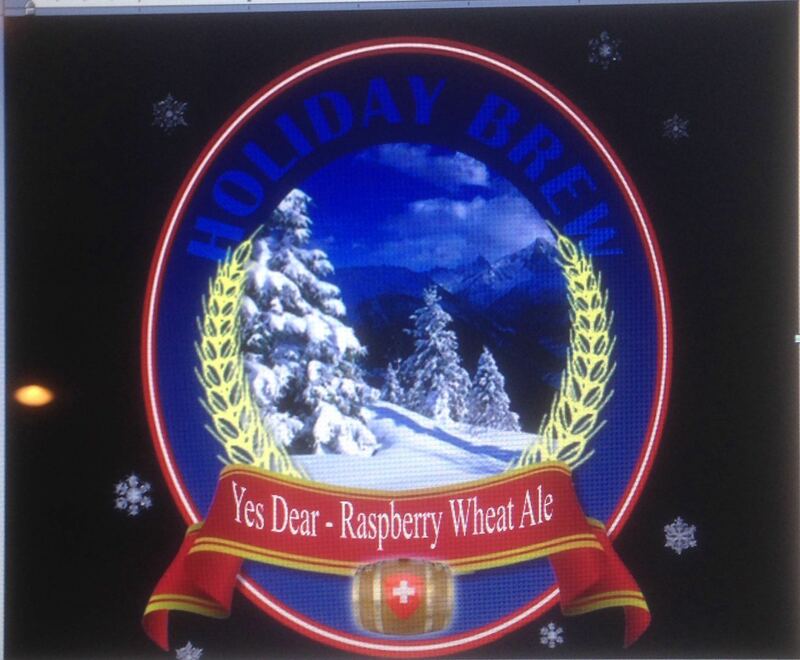 So, as my Christmas gift to her, I have just returned home from the beer store with the parts and pieces for a Raspberry Wheat Ale, affectionately labeled the “Yes Dear – Raspberry Wheat Ale”. No wrapping paper needed and the gift that keeps on giving, She will be so happy! My old brewing buddies will understand that the unsaid portion of the label would have read, ” Yes Dear, I should have known – Raspberry Wheat Ale”. It’s a long story…. and besides, it would have crowded the label. Single Infusion @ 152 deg F and batch sparge. Below is an image of label design for this batch taken by my iPhone from the laptop screen. I sure hope my bride has a sense of humor?…….never mind, she married me so the answer is, yes she does! PS – I also came home with 1.75 Liters of 190 proof Everclear! Not for beer brewing but for making some Limoncello with my bumper crop of lemons! More on that later. It is not really barrel aging but results are pretty much the same. I brewed a 5 gallon batch of Russian Imperial Stout in May. As a home brewer seeking that wonderfully complex flavors achieved by the craft brewers, you have the technology. You can buy oak spirals, made that way to increase surface area. They can be bought in various levels of toastedness…..not sure that word has made its way into your Funk & Wagnall yet, but it is an apt description. I have made mine in the past using a white oak dowel and cutting deep grooves on my lathe. PS, get permission from your SO before toasting the oak in your home oven or better yet, do it outside. I soak mine in bourbon…..I select a lesser grade as I believe in not using my Pappy Van Winkle 20 year old for the effort. Below is a link to a good article form a recent post in the Weekly Pint. My latest offering is a perfect example of the vanilla flavor imparted by the oak…..wonderful. I am considering a barrel aged pale ale of some sort in the near future. Just don’t have enough free time to brew all that I want and or crave. That damn thing called work gets in the way! Something odd happened the other day. 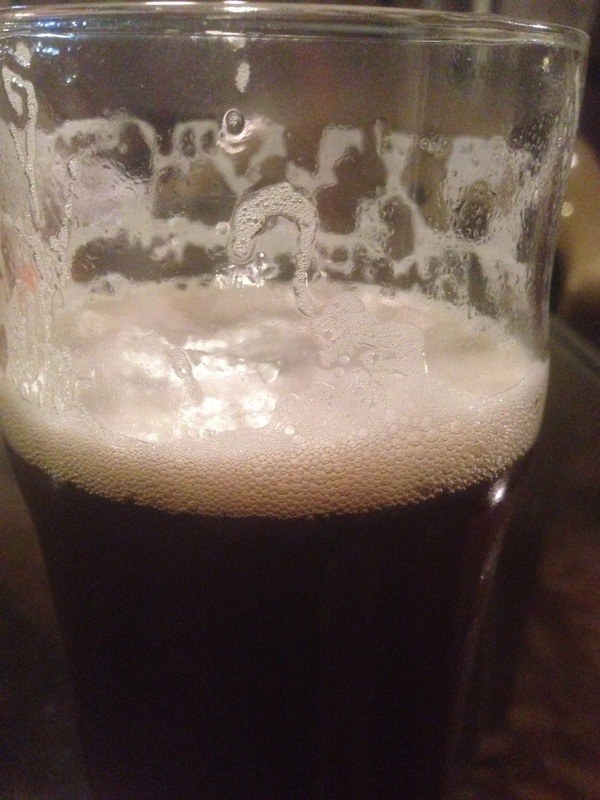 I used my blogging app on my iPhone to generate a blog about the first taste test of my Gloden Wheat Red IPA. I attempted to publish after adding a few photos and conducting my typical sophomoric self editing before publishing. All that appeared was the “Auotdraft” title and no meat, no potatoes and nothing about the beer. I want to rectify that problem or mystery. 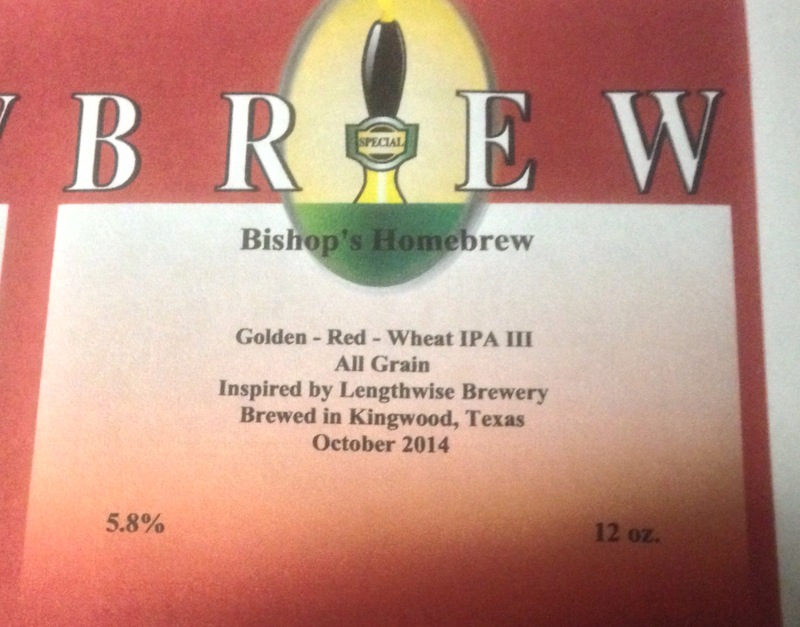 This was Golden Wheat Red IPA III – but it was also the first attempt at brewing the recipe as an all grain batch. 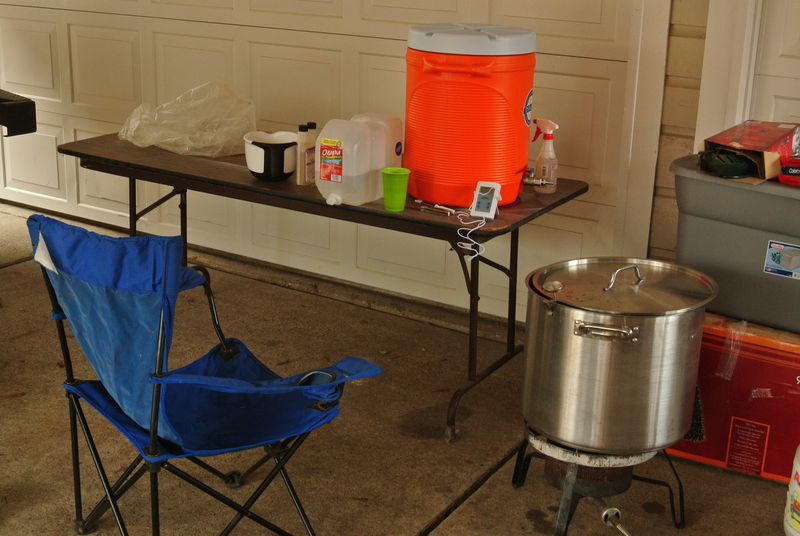 If you read an earlier post detailing the brewing day you will see that it did not go as intended. Lesson learned, if the hydrometer is behaving incredibly far outside of expected norms, do not panic. Take a pull on a good pint of homebrew – down to mid point, lick your lips and realize that it would not be physically possible for the hydrometer to float that high…….Then inspect the hydrometer closely…..if I had I would have noticed that the tip had busted off and the calibrating weight in the base was missing. Had I done that, it would have been mystery solved….I panicked – but based on the taste test I recovered nicely. My first taste test was 11 days after bottling and the conditioning process was spot on….nicely carbonated but not too much. Great hop balance…good bitterness up front from the early additions and the late additions including the dry hopping have provided a nice aroma. Very, very drinkable….I have encountered very few undrinkable beers but I have had some that were worse than others! This one comes in pretty durn close to outstanding! 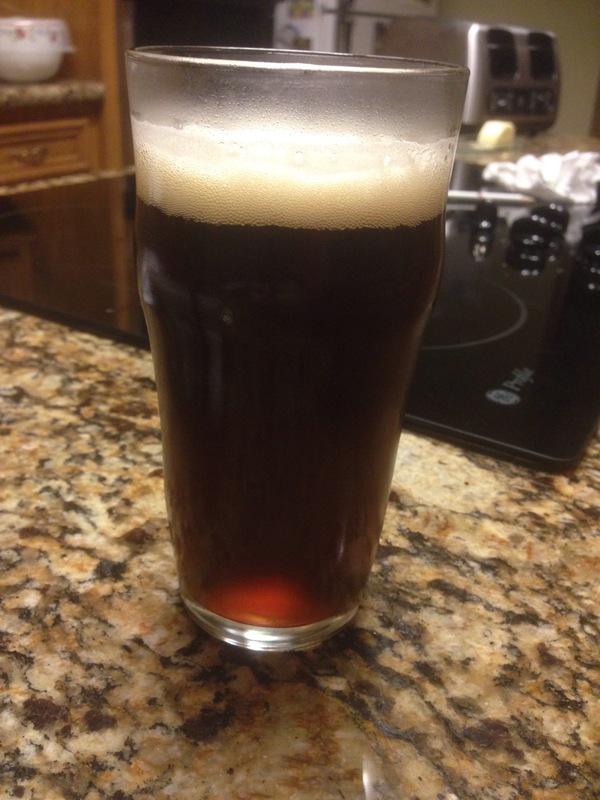 A pint of a successful batch…or really 12 ounces! CRS – a condition that increases with age where you “Can’t Remember Shtuff” or something like that. I will label the bottles this weekend and painful as it is to admit I will share a few! I will be a bit stingy but not nasty about sharing! Surprise discovery for me! I picked up my mother’s car from the shop in Los Osos and drove over to Baywood while she napped. It is a fun place and if I had stayed longer than one beer I could have made 6 or 8 good friends! As it was I made two and was working on a third! They had a great selection of local beers and Central Coast Brewery in San Luis Obispo was well represented! I had time for one beer as mom napped. I chose the CCB Terrace Double IPA. Very, very nice aroma and great balance of hops- my opinion! The West Coast is well represented amongst the 16 beers they have on tap. North Coast Brewing, Hermitage, Drakes, Tap It, Santa Cruz, Black Diamond up in Concord, CA. Then they throw beer from Wisconsin. Minnesota and Utah and you have a great mix…. Gotta come back with my bride! 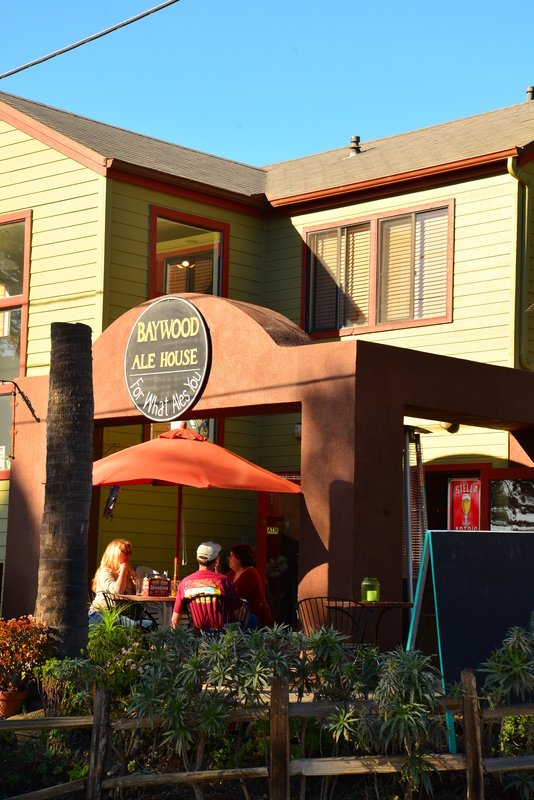 Quaint place just off the main drag on Santa Maria and 3rd in Baywood, CA! Quaint little house and a great little place to drink beers. 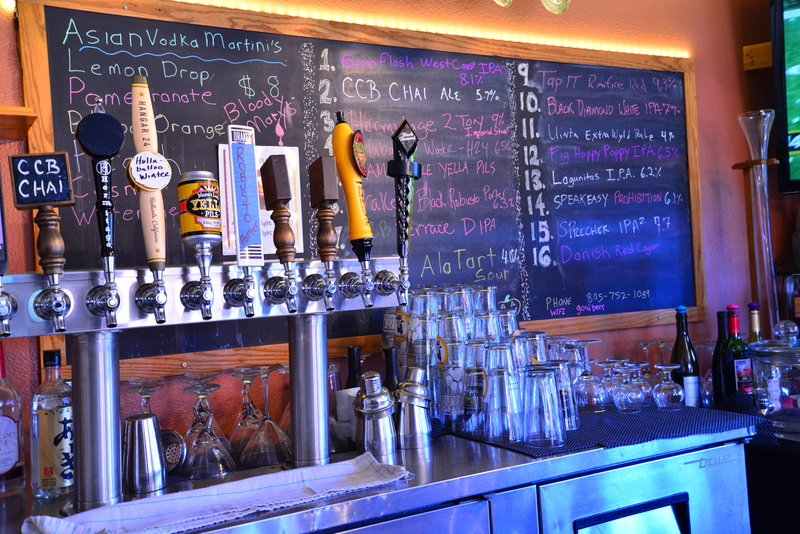 Some of the 16 taps and beer menu board behind them. 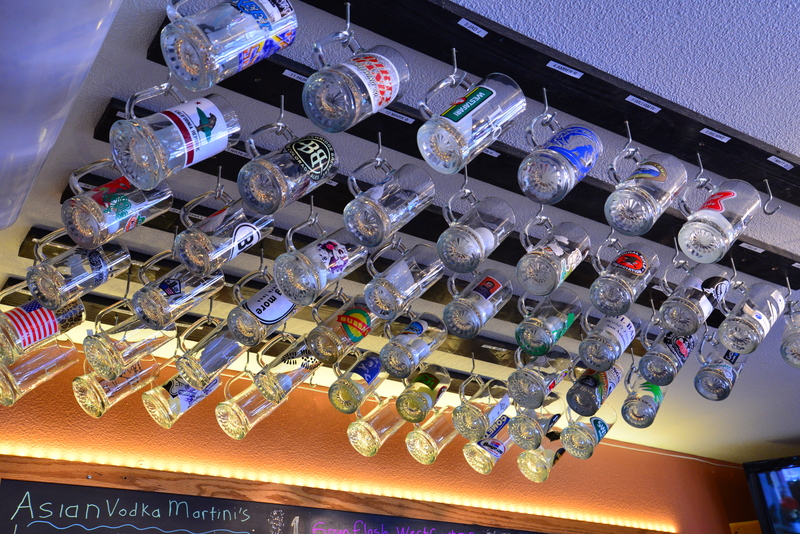 Locals have their own mug hanging from the ceiling. I just had to laugh!!! !